Now this is part 2 so if you haven't seen part 1 ... catch up here! 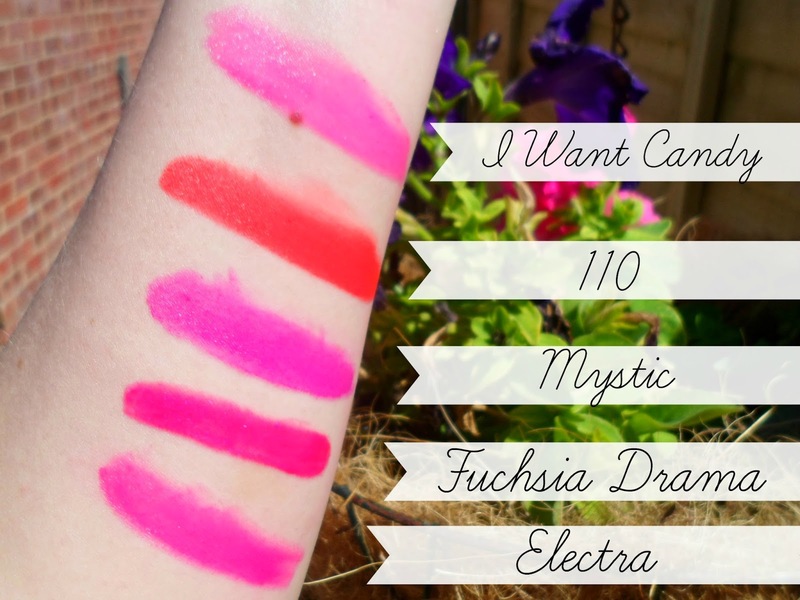 Like I said before, summer is my favourite time for lip colours! So many bright and fun colours to choose from daily and I managed to narrow my top 10 down for these 'favs' blog posts! So here's the 2nd half and the final 5 favs! All of these are drugstore purchases so bargain city! They are all under £10 and most are around the £5 mark! Have you tried any of these? 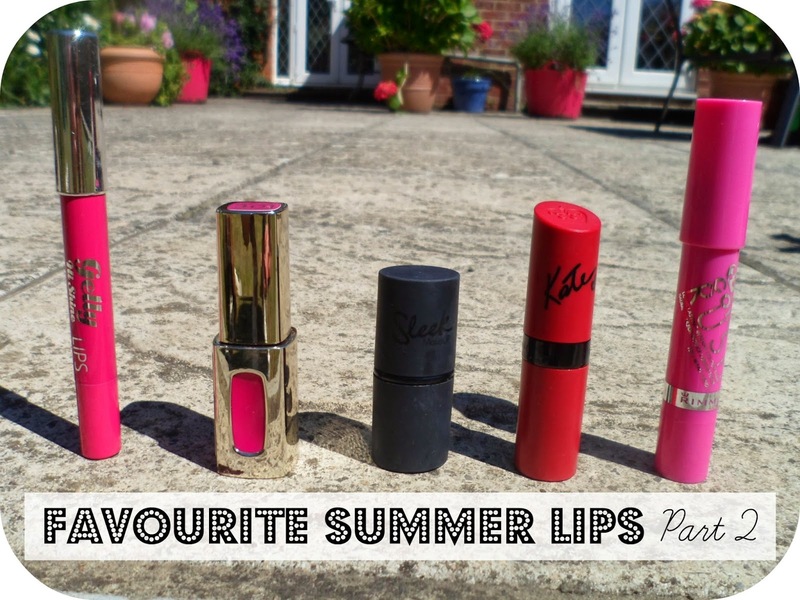 What are your summer favourites? I was actually thinking about going a bit bold this summer with my lips because I'm always too natural and these lipsticks just inspired me! Love how the barry m high shine looks, I always say they're sort of overlooked as a brand because all the focus is on their nail varnish. They're other products are so on point though! 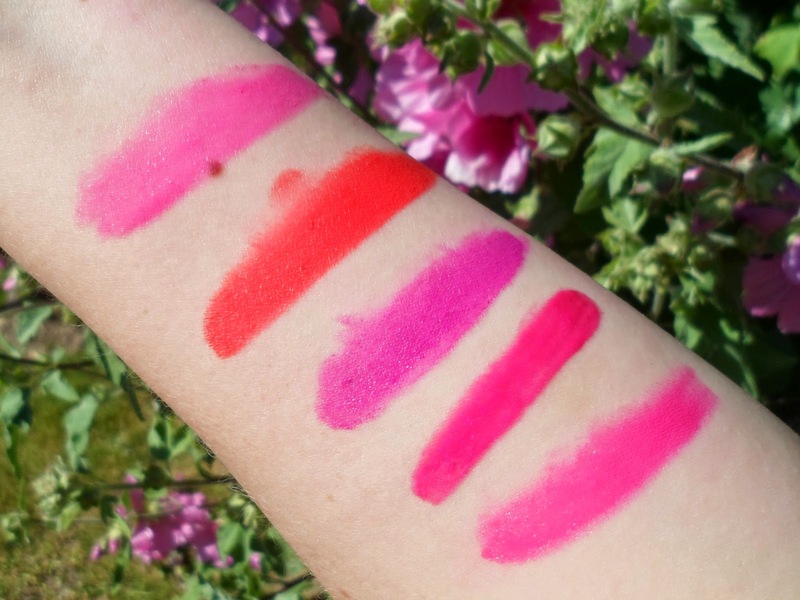 I luuuuurve the bright Kate Moss lipsticks for summer, so gorgeous! I just want to start by saying I adore your header image with the castle!!!! So awesome!! I love these shades they are so intense and stunning! I love the intensity of Fuchsia Drama!! I love the Rimmel Kate Moss lipsticks, they're so affordable and such great quality! Might have to get that "I want candy" one, love the colour! 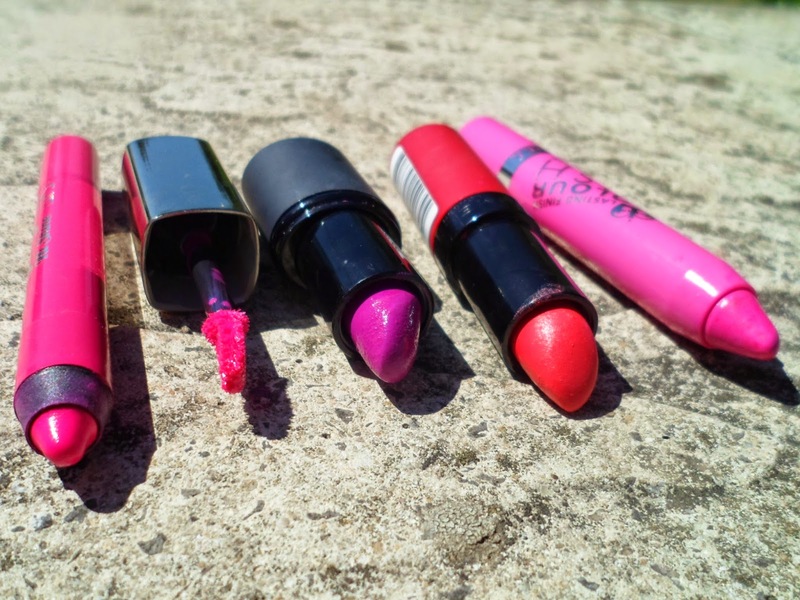 I just tried out those l'oreal lip products and I am completely obsessed! That shade looks gorgeous! I have Fushia Drama and love it! I'll probably wear it tomorrow after reading this post! I really want to try one of those Rimmel lip crayons too.